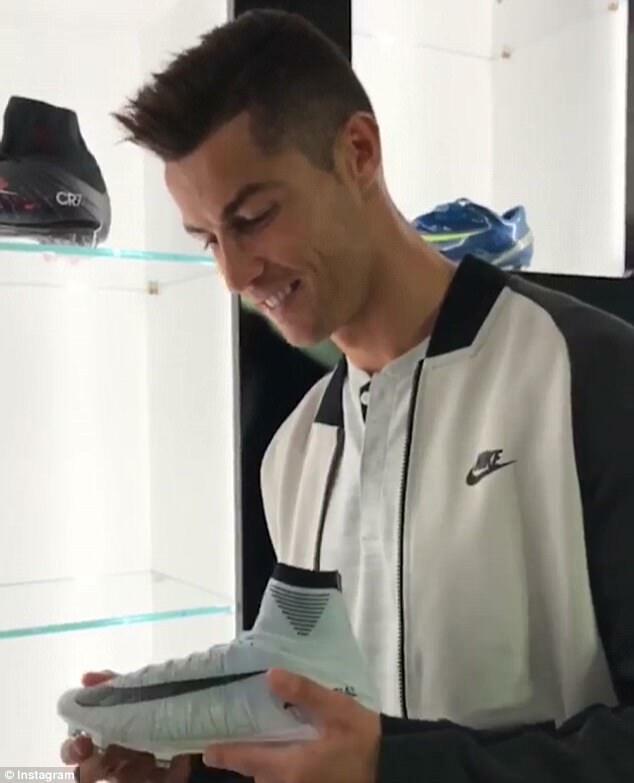 Real Madrid star Cristiano Ronaldo took to Instagram to reveal his exceptional boot collection. 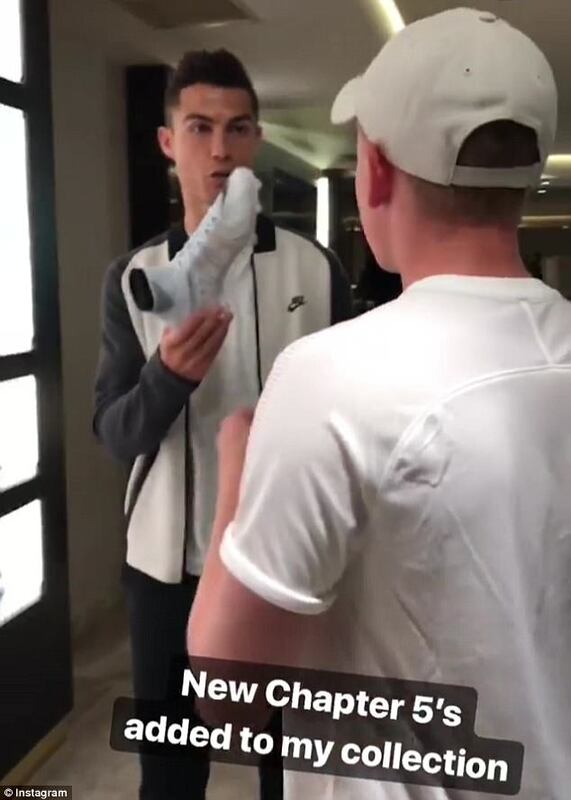 The Portugal international received some guests at his £4.8million mansion located in the exclusive La Finca part of Posuelo de Alarcon to present to him the latest design in his Nike CR7 series on Friday. 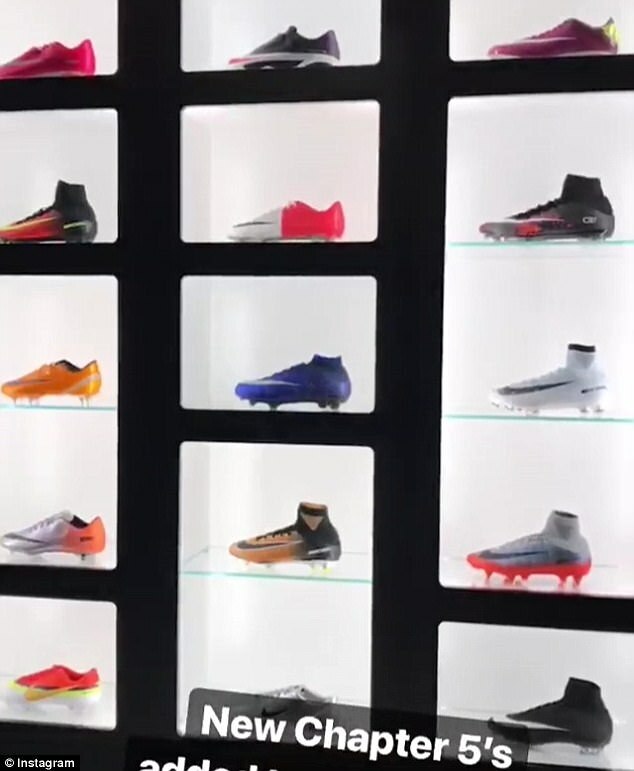 The Madrid forward immediately set about showing off his breath-taking collection that includes over 25 pairs of Nike boots perfectly displayed in his house and posted the video on his Instagram story. Ronaldo launched his latest boots with Nike in the CR7 series earlier this month and added them to his already impressive collection. The Nike Mercurial Superfly boots are called ‘Chapter 5: ‘Cut To Brilliance’ and pay tribute to his records of becoming the fastest player to score 50, 100, 150, 200 and 250 La Liga goals. The Chapter 5 design is inspired by diamonds and sparkles under lights and it acknowledges Ronaldo’s transformation from rough diamond to a player ready to shine on the biggest stage. Which is exactly what Ronaldo did in his last appearance, starring in Madrid’s midweek 3-1 Champions League victory over an in from Borussia Dortmund side. He struck twice after team-mate Gareth Bale scored the opener to help the Spanish giants record an important win that saw them move to the top of Group H.
The 32-year-old will be hopeful of putting in a similar display for their La Liga clash with Espanyol on Saturday evening. Madrid will be boosted by the victory against Dortmund but they will need to build on that if they are to rediscover their league form and start to make in roads into Barcelona’s early seven-point haul.